On Thursady August 20 th. 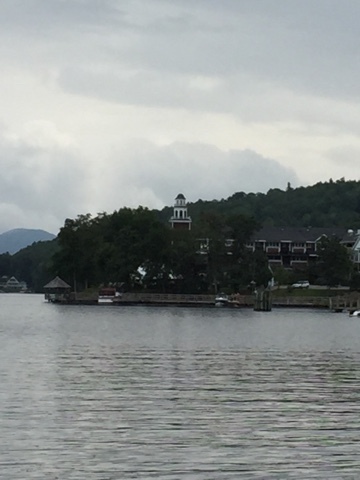 Bonnie and I visited the Weirs Beach area of Lake Winnipesaukee, NH. They have a very nice 1/4 mile wood deck type "Boardwalk. Right next to the boardwalk are a set of train tracks. 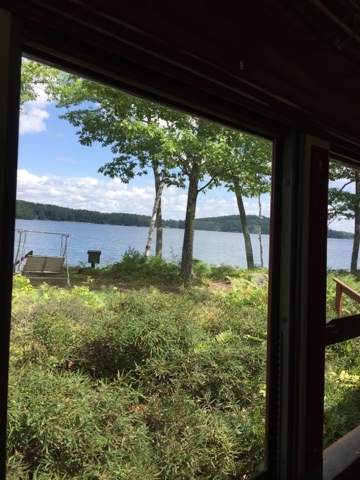 The train tracks are home to the Winnipesaukee Scenic Railroad-Hobo Line. So we both paid for the 2-hour train ride. 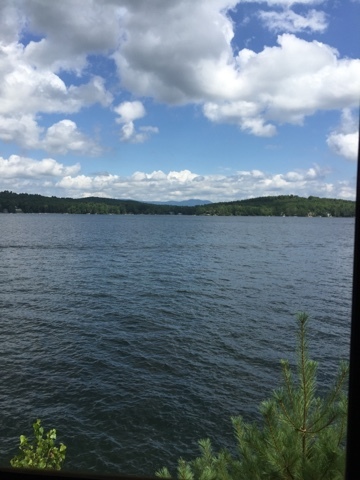 This ride was along right next to Lake Winnipesaukee from Meredith, NH to Lakeport, NH. We past by many beautiful lakeside homes, parks, forests/woods and beachs. 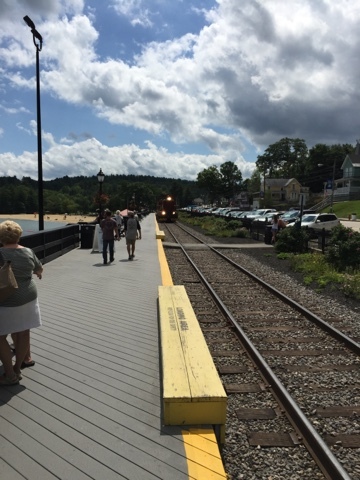 And the train also passed by Weirs Beach & Paugus Bay on the way to Lakeport. 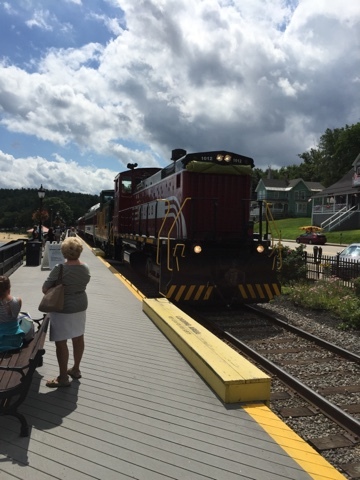 This was a great way to relive the history of train travel within this area of New Hampshire. 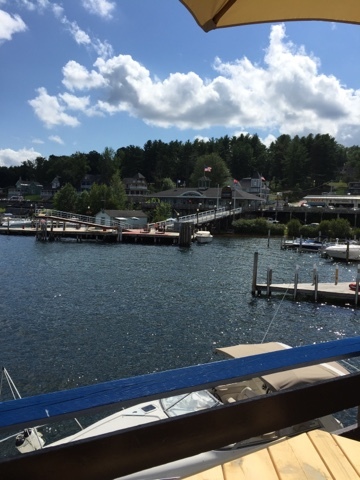 The last stop of the day was to enjoy a nice lunch at the lakeside restaurant overlooking Weirs Beach & Marina. 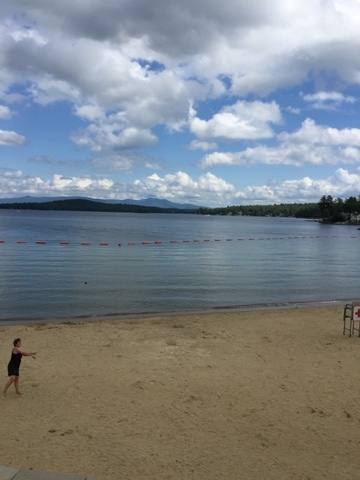 We both had a great time visited this part of Lake Winnipesaukee, NH.